For some, meditation seems far-fetched and not a smart way to spend free time throughout one’s day. But research shows that meditation is a great way to spiritually and emotionally complete certain areas in life that one might feel are lacking. Once someone tries meditation, they instantly become aware of all the benefits that it offers, including the following. Spending just five minutes meditating each morning before beginning the day can have a lasting and positive effect that lasts the entire day. By mentally preparing for what activities and commitments are planned and increasing awareness for what may happen unexpectedly, it becomes easier to focus on the good and avoid the bad. Meditation allows someone uninterrupted time to focus on the good and positive in their life. By expressing gratitude and avoiding self-pity, life instantly takes on a more positive light. The Universe tends to give back what it receives. If negative energy is constantly emitted from someone, they can only expect negative energy to return. But with meditation, it becomes nearly impossible to not emit positive energy, therefore encouraging the return of positive energy from the universe. When someone is able to begin to view the entire world in a most positive light, they are able to do the same with themselves. Increased self-confidence begins a positive domino effect that can completely change someone’s life path. For example, increased self-confidence can help to spark a new relationship, encourage the start of a new career or enable someone the power to embrace new and exciting opportunities. Anxiety is a serious condition that can suddenly affect anyone. Increased levels of anxiety lead to increased levels of stress, which not only take away from someone’s overall quality of life but can also lead to some serious health conditions. Meditation can help to stop anxiety before it creeps up on the brain and body, preventing the unwanted side effects that go along with an already undesired condition. Imagine finally taking control of anxiety with just a few minutes of meditation at the start and end of each day. 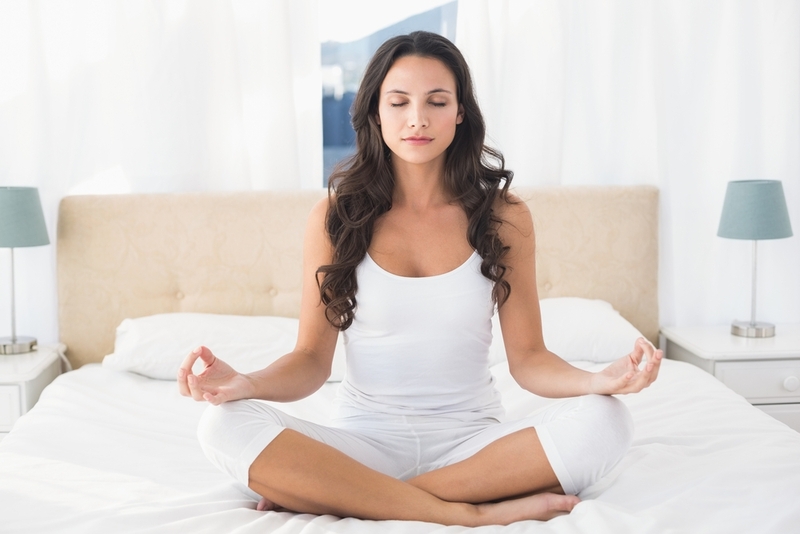 When someone begins to incorporate meditation into their daily routines, it becomes easier to make healthier decisions. For example, meditating before breakfast will most likely lead someone to choose fruit and oatmeal instead of a doughnut. It encourages healthy eating, exercise and the avoidance of toxic substances. Studies have shown that meditation can literally slow down the aging process by changing the way the brain controls aging. As already mentioned, meditation helps to remove stress and negativity from daily life, which can also have a positive effect on appearance. There are many different types of meditation. Finding one that fits into someone’s lifestyle and meets their needs is crucial but not difficult. With plenty of informational resources available, one can begin to experience the impressive benefits of meditation in only a few days. As with many types of health treatments, consistency is key, along with the true belief that meditation can change life paths for the better.